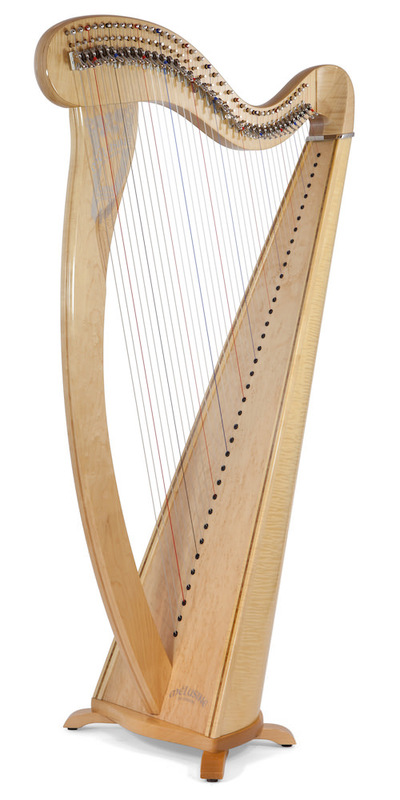 mahogany, cherry wood, walnut, natural maple, black. Soundboard decorations to order. 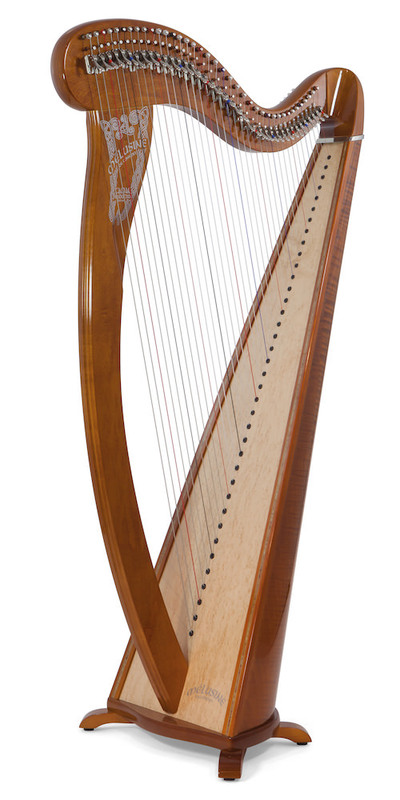 The Concert Mélusine is Camac’s best nylon-strung lever harp: of premium wood, made to the highest aesthetic and acoustic standards. 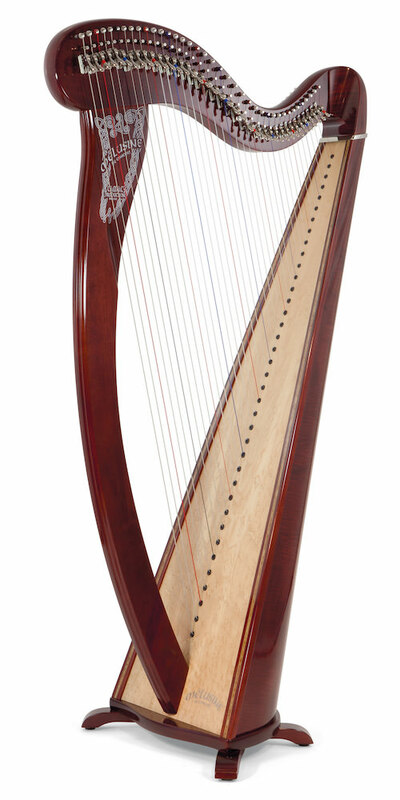 It is a harp for soloists who desire a strong, round tone, without sacrificing the clarity of a traditional folk sound.